21st April, 2017, Chennai: Ashok Leyland, flagship of the Hinduja Group, and the 2nd largest commercial vehicle (CV) manufacturer in India, today showcased its full range of future ready products, based on Intelligent Exhaust Gas Recirculation (iEGR) technology, and industry-leading services at its annual Global Conference 2017 in Chennai. 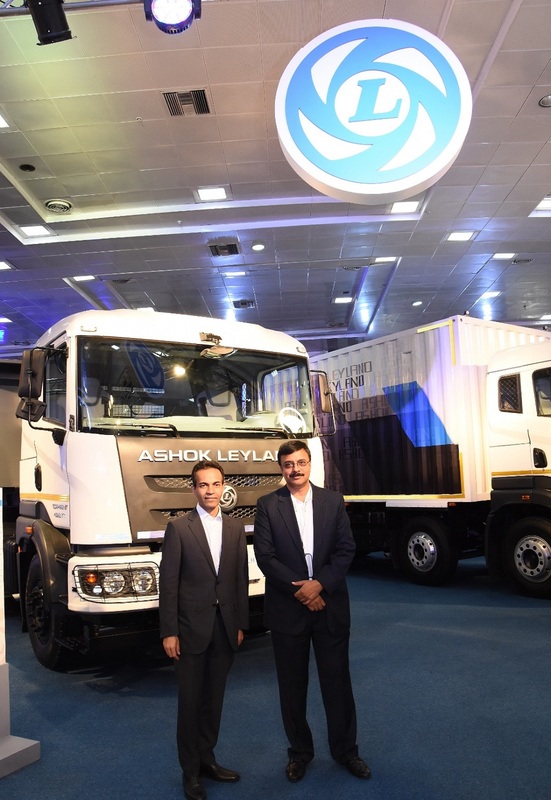 Pioneering the indigenous development and application of the iEGR technology, Ashok Leyland will be the only domestic OEM to implement this technology successfully for its products above 130HP. Thus, Ashok Leyland has, once again, brought its technology prowess and Indian innovation to the fore for the benefit of its customers. Intelligent Exhaust Gas Recirculation (iEGR) technology is a simple yet innovative solution to achieving the desired results in order to meet the BS4 norms. This technology is not only better suited to Indian conditions compared to Selective Catalytic Reduction (SCR) technology (based on European technology) but will also prove to be hugely cost effective, easy to operate and hassle-free to maintain. All of which will benefit the Ashok Leyland customer, resulting in better margins compared to products by OEMs which are based on SCR technology. With iEGR technology as the highlight, the Company displayed a mix of over thirty innovative products and services, featuring trucks, buses, light commercial vehicles (LCVs), simulators, quick service bikes and gensets. Taking the brand promise of ‘Aapki Jeet, Hamari Jeet’ further, the Company has, in recent years, expanded its network rapidly to cater to its wide set of customers. It has 1000 touch-points with an additional 5000 outlets for Leyparts, the genuine spare parts brand. A service centre at every 75kms on all major highways, Ashok Leyland delivers its “Tatkaal” promise of reaching customers within 4 hours and getting their vehicle back on-road within 48 hours. KAM Cell: Currently 429 KAM Customers are enrolled pan-India. A dedicated team at the head office ensures the best and fastest resolution to any problems and also helps in fleet updation. Note to Editors: For detailed information on the displayed products, please refer to the attached brochures/product information notes.